His eligibility was challenged by PPP’s Nawazish Pirzada who contended that an absconder could not contest elections. 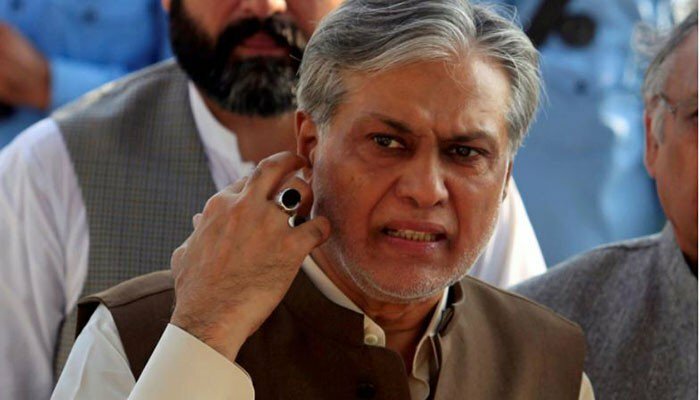 Dar was declared an absconder by the accountability court last year for his failure to appear in court since he has been in London allegedly receiving medical treatment. Chief Justice (CJP) Mian Saqib Nisar ─ who has headed a three-judge bench hearing the case today ─ asked Dar’s lawyer where the former minister is. The lawyer, Salman Akram Raja, told the court his client has “a medical issue”.